Have you ever had a perfect day trip? Our trip to Bruges was just that. 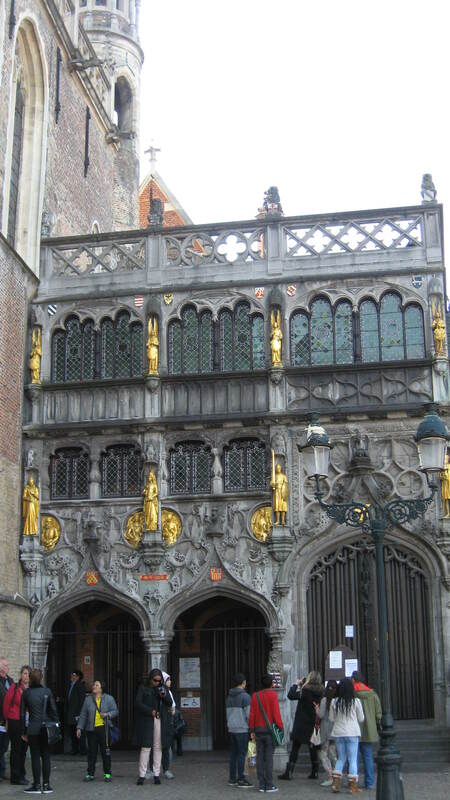 When I planned our Brussels weekend trip my husband suggested we spend a day in Bruges. I was against it since it was just a short trip but I’m so glad that he managed to change my mind. 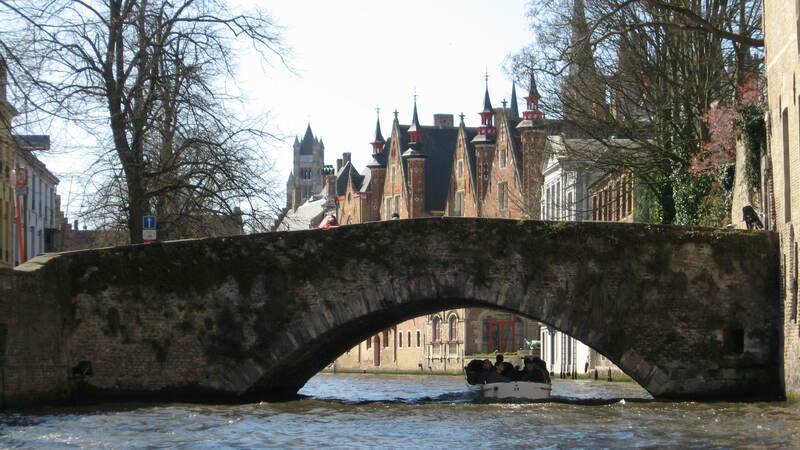 Bruges is a perfect picture postcard town. And it kind of reminded me of English countryside towns and I seriously love the English countryside. So, on a beautiful Sunday morning we boarded our train to Bruges from Brussels Midi station. The train was packed full with tourists and somehow after walking through several carriages we eventually found ourselves a place to sit. It was only a short train ride since Belgium isn’t really big and on our way to Bruges we passed near several other tourist-worthy Belgian towns such as Ghent. There was an older Belgian gentleman sitting opposite me and he struck a conversation with me. I have to say that I speak some French and I tried to use my French as much as possible during this trip but everyone we met spoke good English. So we talked briefly about Brussels and Bruges and Belgian coast and about French and Flemish language representation in Belgium. 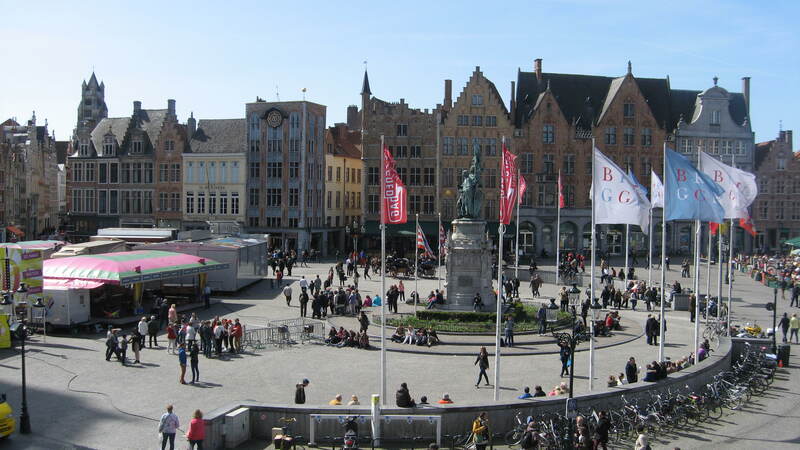 Soon we arrived to Bruges and followed the mass of tourists out of the train station and into the town. However, the groups of tourists dispersed quickly since everyone obviously had another idea of how to get to the strict center of the town. We walked past a row of old small houses which looked more like they belonged in a fairy tale book than in a modern-day world. 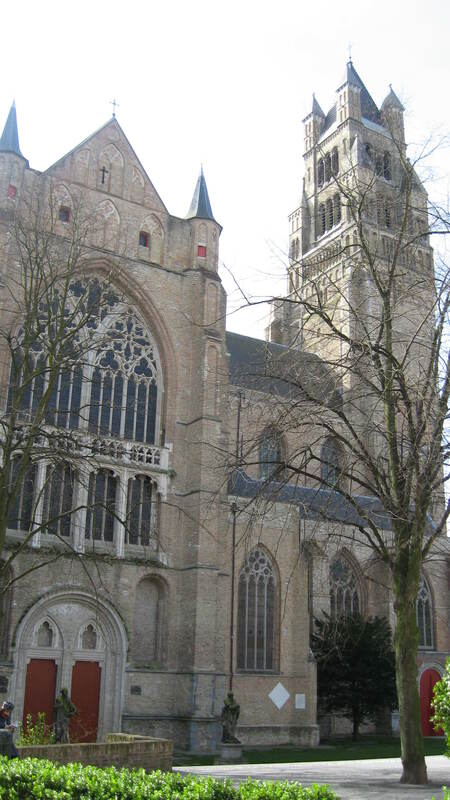 Passing the St.Salvator’s Cathedral we found ourselves in a busy street leading to the main square Markt. And what a sight to behold! The square is surrounded by colourful picturesque buildings from different periods. 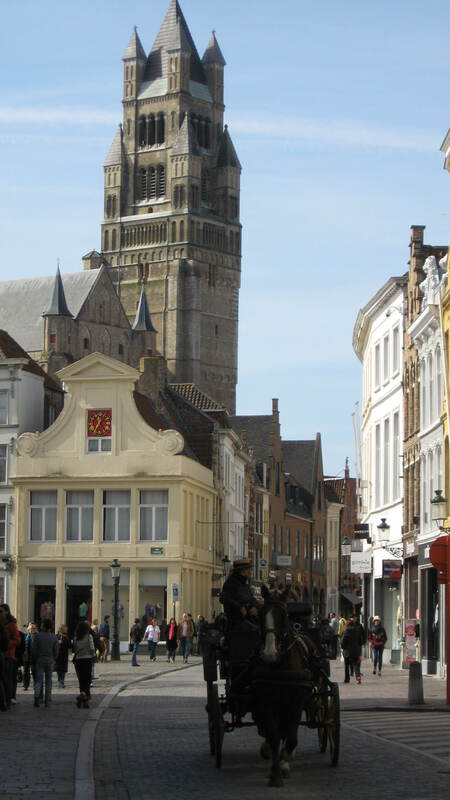 There’s also the majestic Provincial Court building which can be mistaken for a town hall and of course looming over the square is the 83-meter-high Belfry tower from 1248. There was also a kind of carnival at the square which I must say looked a bit out of odds with the beautiful square. You could spend hours at the square just admiring the beautiful facades of the buildings or watching the world go by from one of the many café terraces on the square. 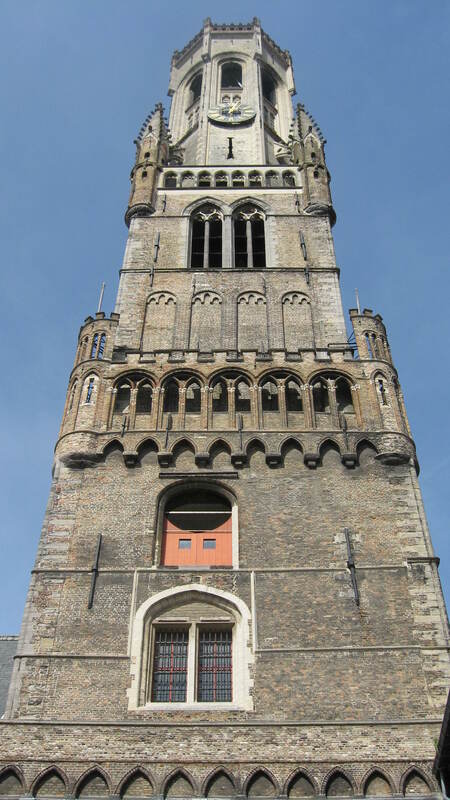 But the first thing we did in Brugge or Bruges was to climb 366 steps up to the top of the Belfry tower to see the whole town. However, it wasn’t an easy climb since the passage was often very narrow and steep and we had to wait in queue for half an hour before. There’s not much inside the tower except from the big wooden chest in the Treasure Room and the intricate clock/bells mechanism further up. Nevertheless, the view alone was worth the climb and the hefty 8 euros ticket. After descending the tower we looked around the square &shops and went to see another remarkable square Burg which looks like a smaller version of Markt square. Of course, there was a waffle stand too and a chocolate shop. 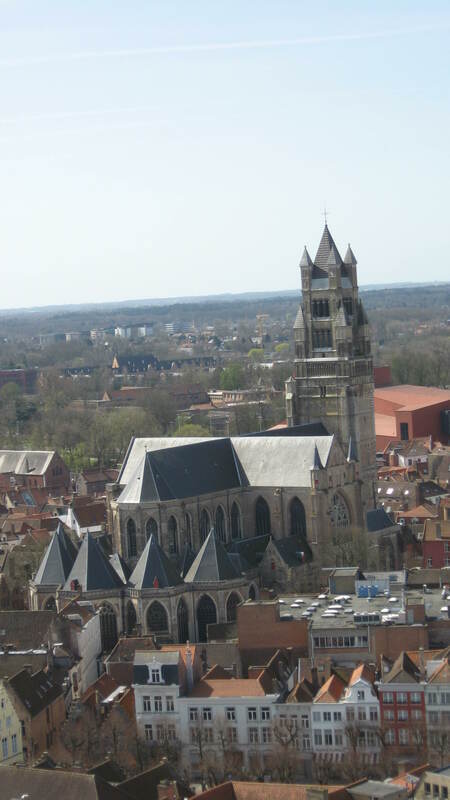 The Burg square holds a special place in Belgian Catholics’ minds since there’s the Basilica of the Holy Blood which treasures a crystal vial which allegedly contains a drop of Christ’s blood brought back from the Holy Land during the Crusade Wars. The Town Hall is also at this square. I still haven’t bought a box of Belgian pralines so we went through chocolate shops like mad searching for that perfect combination of great taste and reasonable price and authenticity because frankly I could get a box of Godiva or Leonidas pralines at any airport. 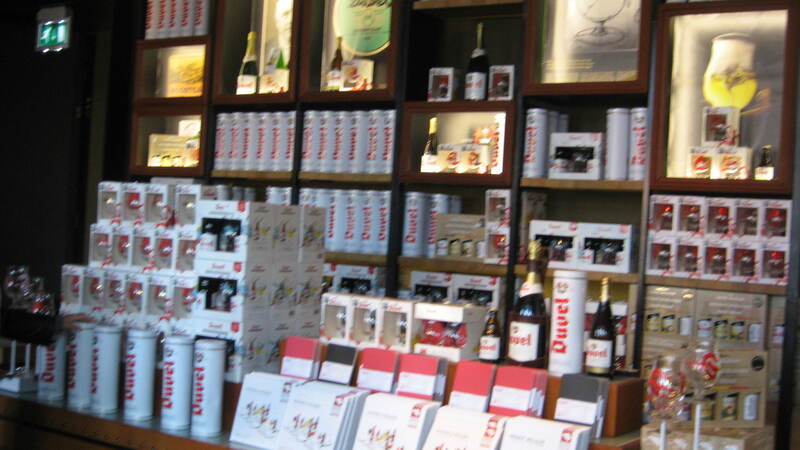 But there were other things to do in Bruges apart from looking for chocolate& waffles. Just behind the Burg square is the canal and I saw some boats on it and wanted to go on a boat ride. We were lucky that we didn’t have to wait for long for our boat to come. It was probably one of the best 16 euros I have ever spent (I’ll write about the canal boat ride in my next post A fun boat trip in Bruges). After the great boat ride we walked a bit by the Djiver canal and I bought an ice-cream. It was very delicious but then as I was licking it it fell off the cone and onto the ground. I felt like I could almost cry; it was so good. The canals reminded me a bit of Cambridge but my husband said it was very similar to the Netherlands ( he went there, I still haven’t been). We returned to the main square Markt and did some souvenir shopping and wanted to check out the Historium (interactive history experience) in the Provincial Court Building. We didn’t really want to pay for the entrance especially since this attraction boasted a superb view of the main square from the balcony when you could do the same from the balcony of Duvelorium grand beer café in the same building as we found out. At this point it was already afternoon and we were hungry so we wanted to have a proper sit-down meal. We usually avoid restaurants at the main squares since they’re always overpriced but we browsed the menus of the restaurants at Markt square and decided to give it a try since we were pleased with the prices. It was an excellent decision. We had a decent meal which consisted of an apéritif, the starter, the main and the dessert and all this for just around 20 euros per person sans the drinks. I had Kir Royal for apéritif and a melon&prosciutto starter while my husband had some sort of herring for his starter. 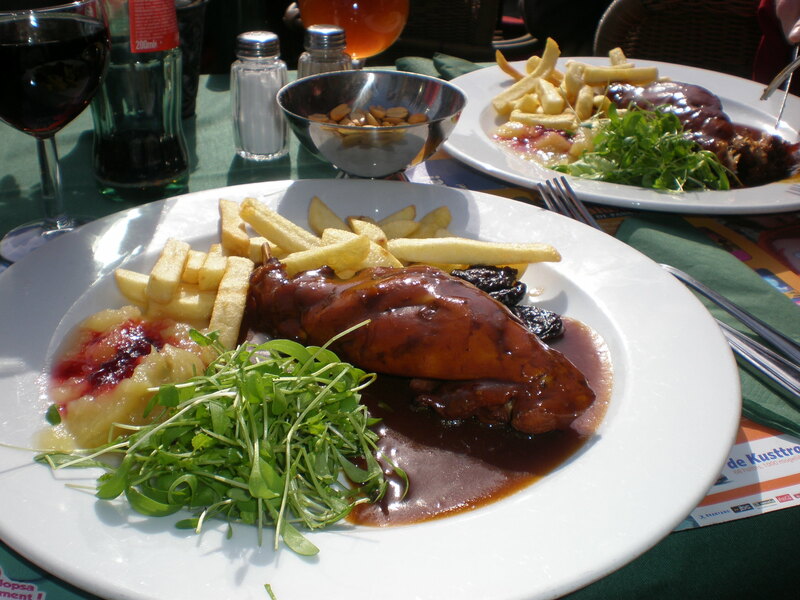 We both had rabbit in prune sauce and fries for the main and I had an ice-cream for dessert while he had some sort of apple strudel. It was really nice to soak up the sun and sit at the main square while having a lovely meal. 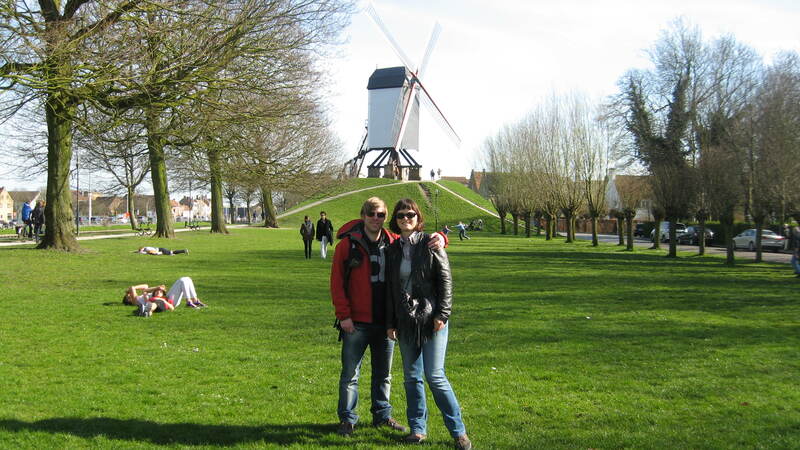 So, there was only one thing left to do in Bruges and that was to see the windmills. 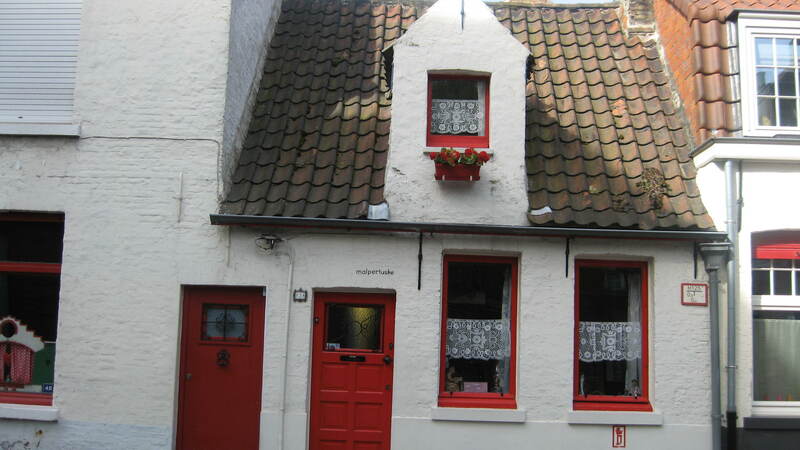 Originally I wanted to see the Beguinage too but there wasn’t time for it all. 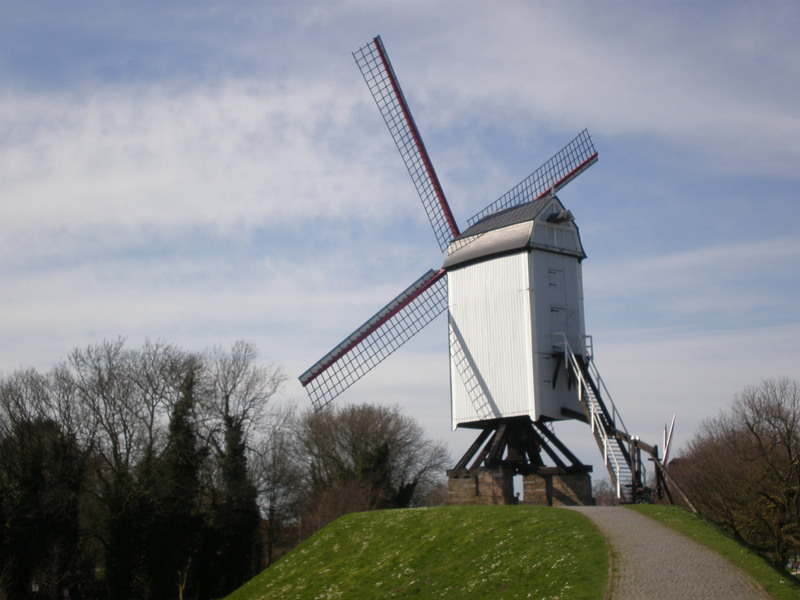 I guess windmills are a symbol of the Netherlands but you have them in Belgium too and since I’ve never visited the Netherlands when I saw some windmills on Bruges city map I wanted to go and find them. 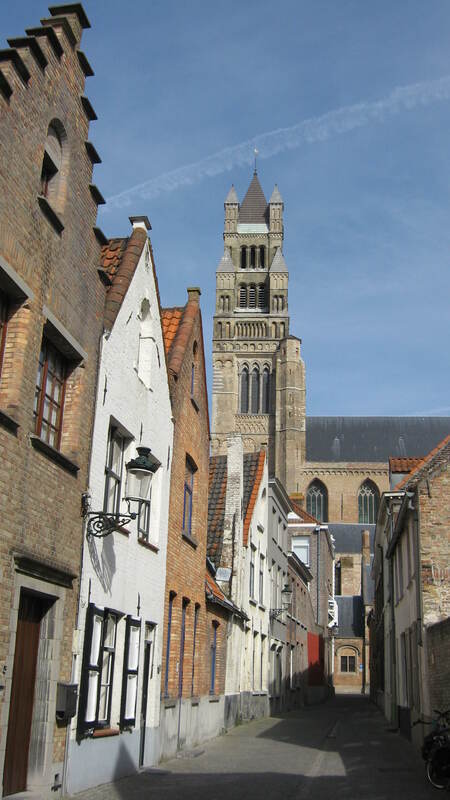 They’re not in the center so you get to do a nice walk away from all the tourists and see a different side of Bruges; a calmer and quieter side with charming old buildings and local pubs. And there was also a sense of calmness in the air which I liked. I enjoyed this walk tremendously and then we saw what looked like an old city gate and to the left of it was a big windmill. 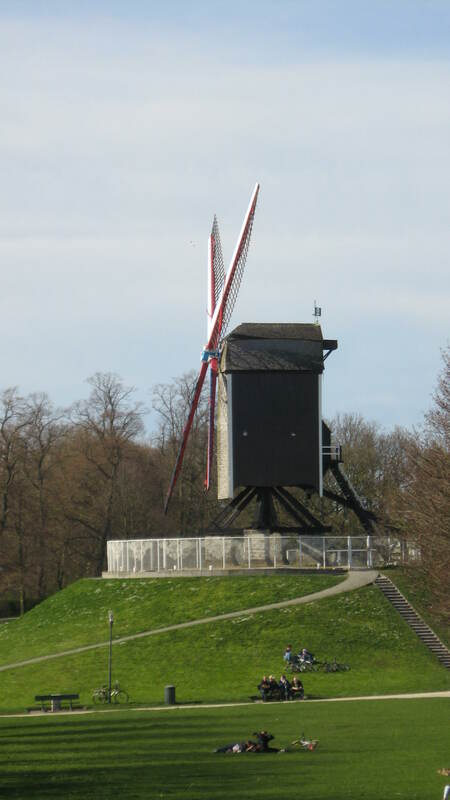 My heart skipped a beat as I approached the windmill and climbed its steps to take in a beautiful view of Bruges. And there was another windmill too. I was so happy 🙂 . Returning to the main square Markt from our windmill search we stopped by at a small shop and my husband bought some beers while I bought a sweet spread called Speculoos. I love the spiced shortcrust biscuits from which it’s made but I forgot that I couldn’t take it on board and they found it in my suitcase at the airport security and threw it away. I was so sad. I could have bought a new jar at the airport shop but it was much more expensive so I had to return from Belgium without it. 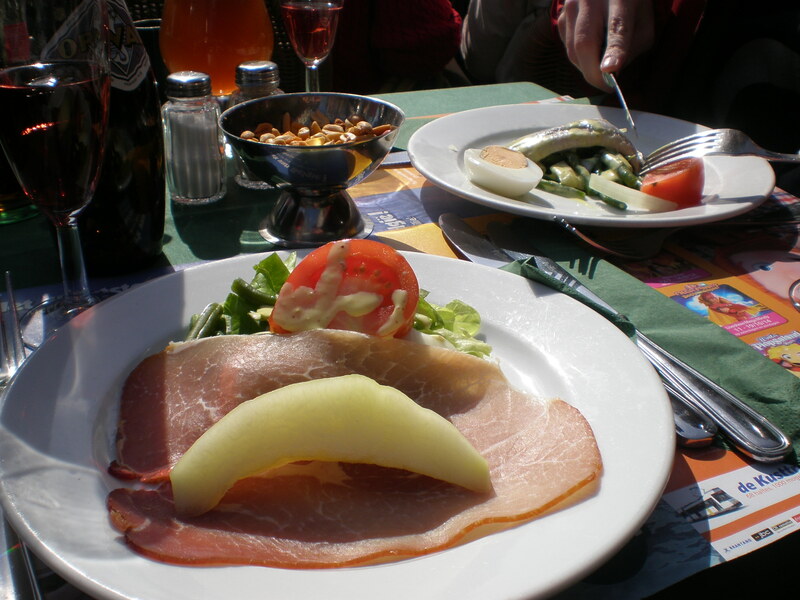 But I bought it less than two weeks later in France on a business trip and it was very delicious. And right before we had to head for the train station I finally found a perfect chocolate shop and bought a box of Belgian pralines which I duly opened when I returned home. They were fabulous and I was sad that I didn’t buy some more. We finished off our visit to Bruges with another waffle (our last in Belgium) and went back to Brussels by train. It was again packed full because the train fare is half cheaper during the weekends than during the week so our return ticket was only 15 euros per person. 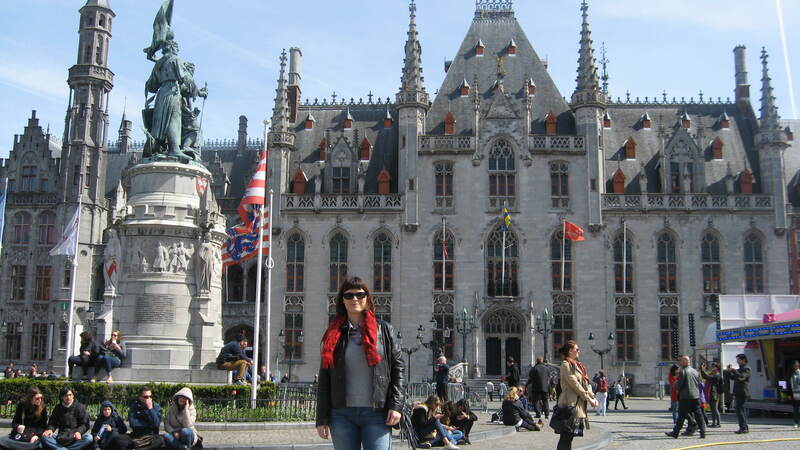 It was a perfect day trip and I was so glad that I exchanged a day in Brussels for a day in Bruges. I finally bought some Belgian pralines! Have you seen the movie In Bruges with Colin Farrell? Linking up this post for November’s (2016) Travel Linkup with theme A perfect…. with Emma, Angie and Jamie. 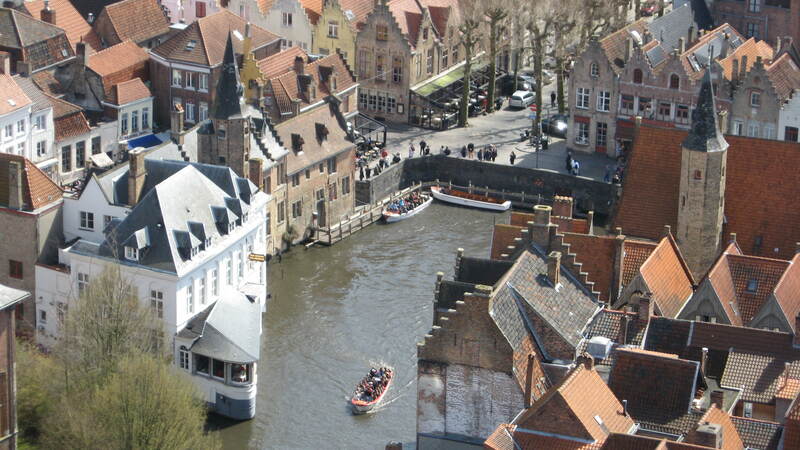 Looks like Bruges is really popular for a quick break! I can’t wait to visit! 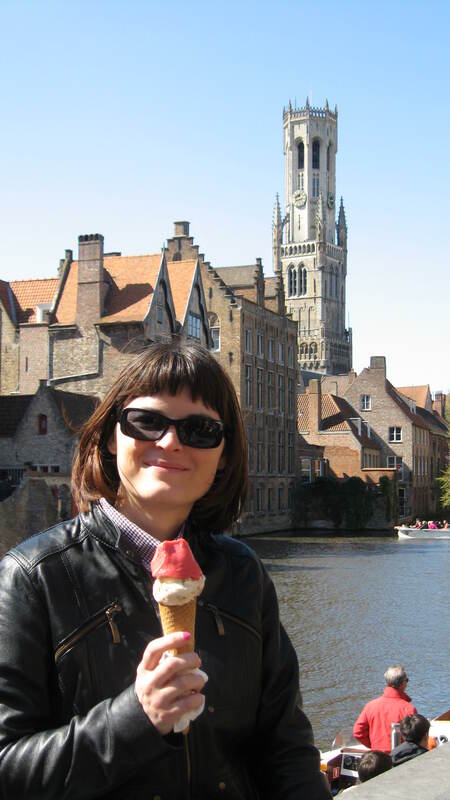 We loved Bruges too – must get back to Ghent soon! What a full day in Bruges! 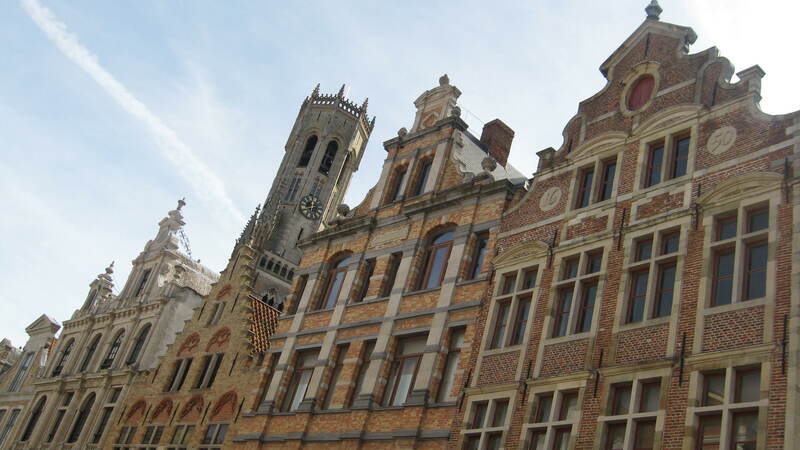 I loved my short day in this charming little Belgian city. I’m not a fan of Brussels so had sort of written off Belgium, but Bruges looks like a pretty and quaint place, far nicer! Sounds like you really made the most of the wonderful food! Bruges is by far one of my favorite fairytale towns! 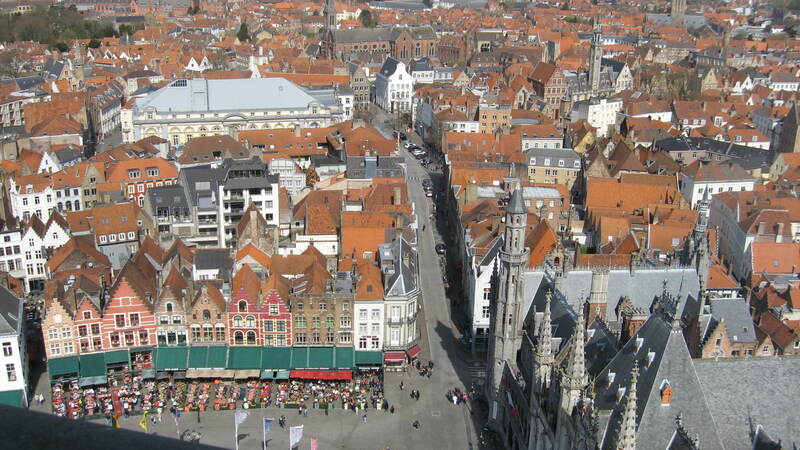 I do prefer Bruges to Brussels. The streets are so quaint, and it’s wonderful that the windmills are so close to the centre. We spent a lovely day there once, cycling around. Olá, adorei a descrição de seu dia em Bruges, estou indo em março de 2016, como faço para chegar nos moinhos? Como eles se chamam? Obrigada pelo retorno. Como faço para ir até os moinhos? Bruges is a beautiful town. I love all those massive towers. It has to be in running for the greatest density of chocolate shops anywhere on earth. LOL If you can stay overnight I highly recommend it. 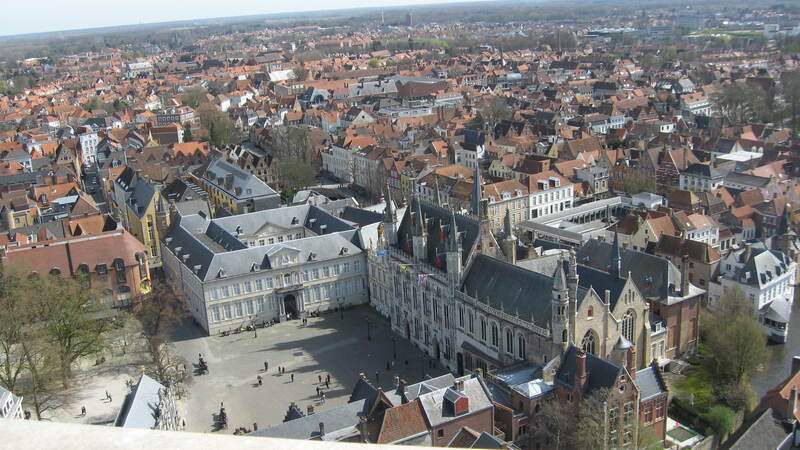 Bruges becomes a totally different town when all the day trippers leave. Yes, it really is. Well, I hope to visit it some time again and then I’d definitely stay overnight. 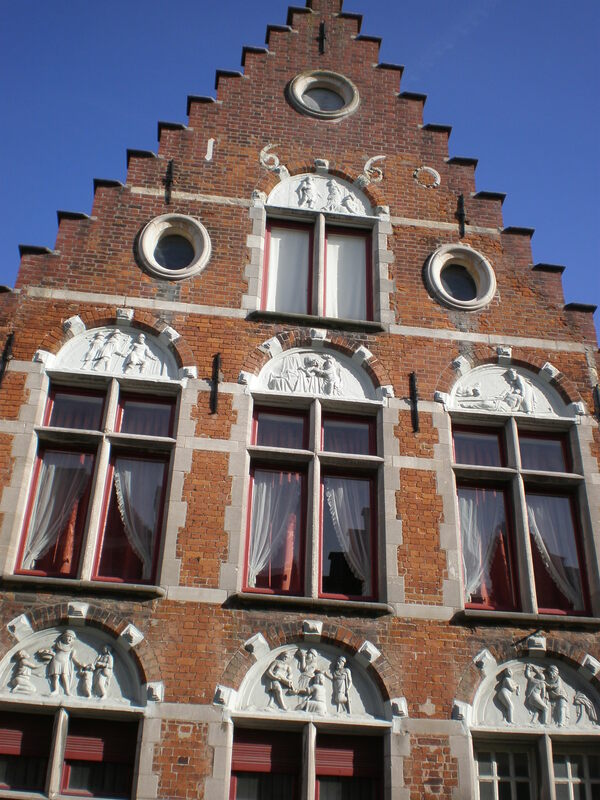 I love Bruges! It looks like a fairy tale! 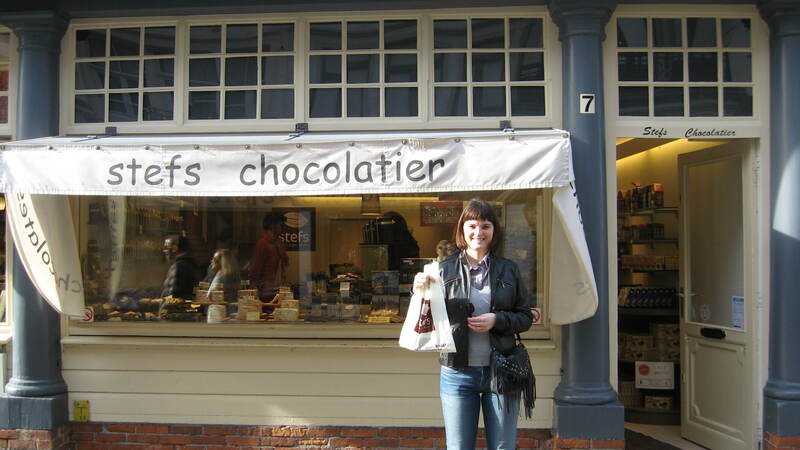 We were there during winter and it was so cold that we had to duck into every other chocolate shop for a hot beverage. It looks like you got much more enjoyable weather on your trip. 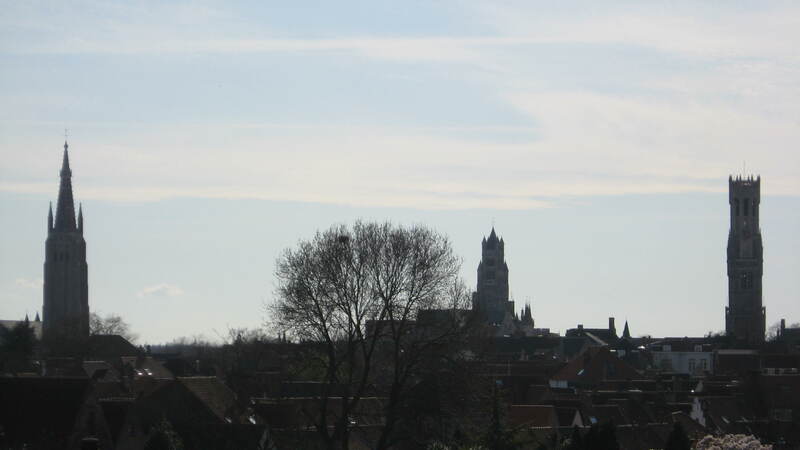 Thanx, Bruges is really stunning! 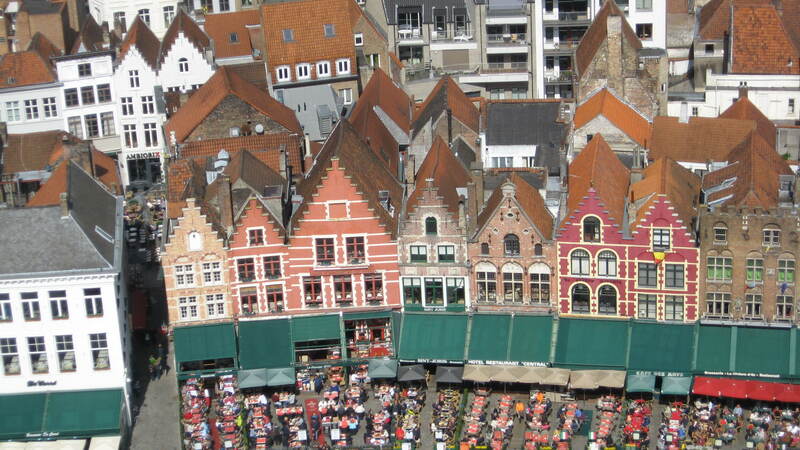 The buildings in Bruges are adorable, they almost look pixelated. So, as a fellow choco-holic, I have to know, what chocolates did you end up buying?